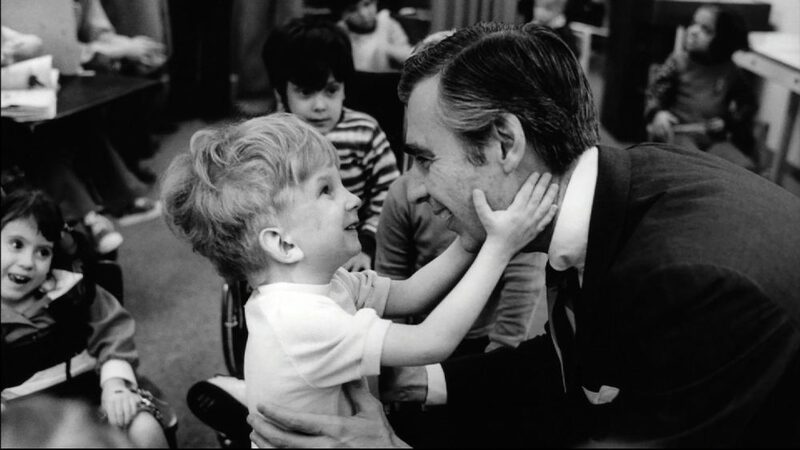 For folks who believed Mr. Rogers was an Ozzie and Harriet holdover in his stodgy cardigans and penny loafers, Oscar-winning documentarian Morgan Neville informs us otherwise. Born to well-off parents outside the Pittsburgh area, the svelte Rogers, known as “Fat Freddy” growing up (an unhappy childhood as the film implies), was poised to enter the seminary when he witnessed a pie smashed into another person’s face on TV. That unfriendly act, and the accompanying laugh track, mobilized Rogers’ higher calling. He didn’t want kids to be raised on circus high jinks. The film places Rogers, who was well steeped in child psychology and an adroit puppeteer, in the same pantheon of child education experts as Dr. Spock and Erik Erikson. In one demonstrative scene, Rogers fields questions from children concerned about limbs falling off, treating each inquiry with thoughtful consideration and engaging the child as a peer. With all the questions answered, Rogers gives off a beaming smile, professing relief to have passed the interview. Neville’s documentary isn't so much about a life revisited as it is about a man on a mission. Half way in, you begin to realize it’s hard to see Fred Rogers, the man, beyond his onscreen persona. Can he really be that pious and caring? 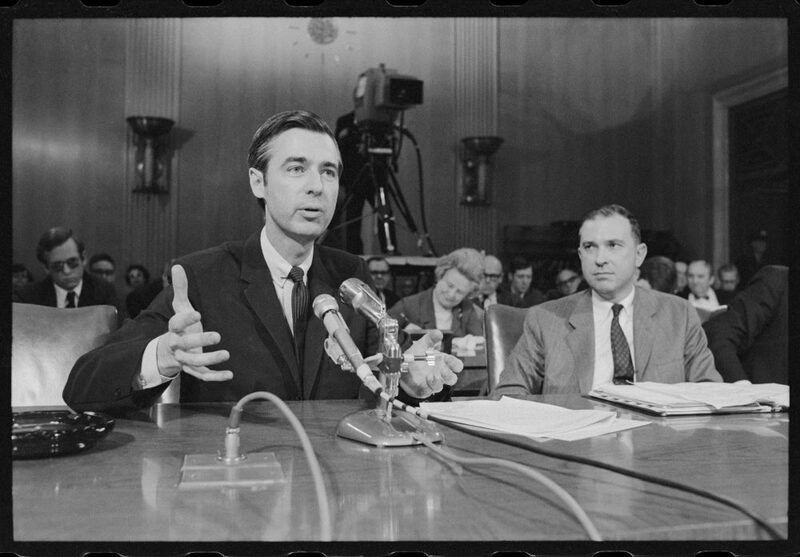 We get glimpses of unexpected levity in outtakes of him goofing around with his studio crew and he’s clearly out of his element when testifying before a congressional hearing for public funding that the Nixon administration wanted to cut (one of his little ditties about anger wins the day). 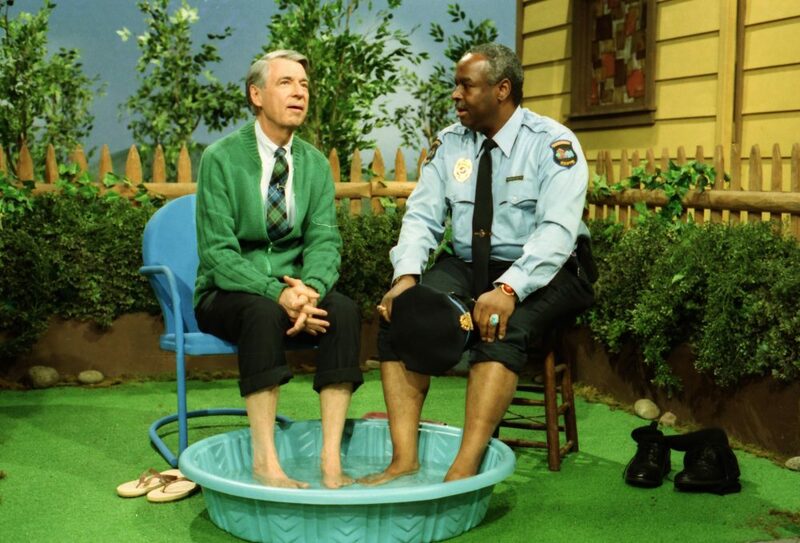 More telling, however, is when Rogers, incensed over African-Americans being barred from public swimming pools, invites the neighborhood’s lone law officer, played by François Clemmons who is black, to share a foot bath in a kiddie pool. It’s a slyly subversive tact that says as much about Rogers as it does the sad state of race relations in American at the time — and reflective of the racial divide that pervades today. Of the many talking heads in the documentary, cellist Yo-Yo Ma is the most famous. He's a friend who refers to Mr. Rogers by his middle name of McFeely. The rest of the testimonial is filled out by the cast and crew (including Clemmons, who emotionally professes Rogers was like the father he never had) and Rogers' family — his wife and sons, one of which describes his childhood as “having the second Christ as my dad.” All express sincere love and respect for the man, which makes “Won’t You Be My Neighbor?” a palpable and quietly emotional film. The scene of the impromptu duet between Rogers and a youth in a wheelchair on the eve of a big operation will almost certainly leave you with a lump in your throat. Rogers’ life however was not without conflict or challenge. Pundits on Fox News assailed his legacy for making boomers and subsequent generations lazy and entitled because the affable educator told them they were "special." Then there’s the Westboro Baptist protest outside his funeral service damning him for not condemning the LGBTQ community. (Early on, Rogers had encouraged Clemmons to stay in the closet so the show wouldn't lose sponsors.) The film covers the urban myths of tattoos and Special Ops kills as well. Still, as Neville captures it, Rogers lived a righteous and exemplar life, keeping at his show longer than he might have liked simply to combat what he viewed as the vapid onslaught of violence and false heroes that were invading cartoon land. (Fortunately, he didn’t have to witness the rise of the Marvel Universe.) It’s true, too, that many of a certain age (myself included) at some point in their young lives may have rolled their eyes or made a disparaging remarks about the staid TV host. 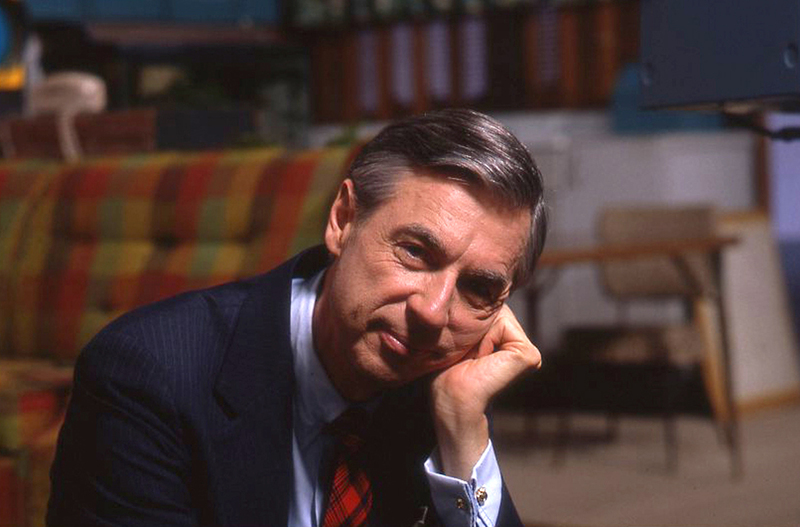 For those, “Won’t You Be My Neighbor?” provides something of a cathartic form of atonement, the ability to look back and appreciate the small bits of profound wisdom Rogers shared with us and his endless encouragement for us to all see the good in ourselves and our neighbors and to focus on that and foster it. I don’t know about you, but I’d like someone like that to be my neighbor. "Won't You Be My Neighbor?" opens locally at the Coolidge Corner Theatre and Kendall Square Cinema on Friday, June 8. In addition to The ARTery, Tom Meek's reviews, essays, short stories and articles have appeared in The Boston Phoenix, Boston Globe, The Rumpus, Charleston City Paper and SLAB literary journal.